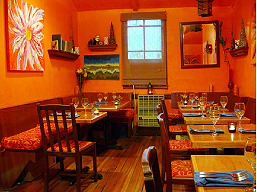 Centre Street Bistro - Creative Cuisine on Nantucket with an Intimate dining room and in season patio seating. The food at the Bistro is honest, uncomplicated and creative. 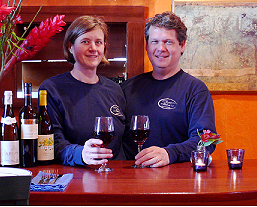 The Owners/Chefs Ruth and Tim both feel that food is an art form. This philosophy along with their experience and talent blend and balance each other to allow them to create the innovative and sensational dishes served at Centre Street Bistro. 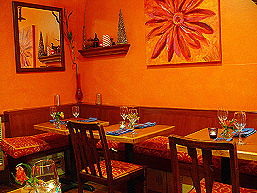 The Bistro is comfortable and intimate where diners often become friendly with the table next to them. There is an unpretentious vibe which mingles among the aromas of roast garlic, fresh bread, herbs or the famous baked Goat Cheese Tart. 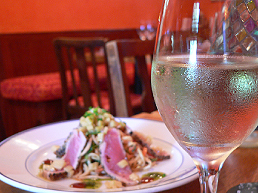 Centre Street Bistro has a welcoming feel that attracts locals and visitors alike. The Bistro is open year round so you can always rely on great food, a warm, casual atmosphere along with a great wine and beer list. Ruth and Tim Pitts live in Nantucket with their two children Emily and Jack. The Restaurant is Now B.Y.O.B.